Although the creators of Word Press take into account SEO optimization – Web positioning in Internet search engines – you must take into account a series of SEO technical aspects when using Word Press as a content manager for your Web page. The most widely used web content manager worldwide and there are reasons to do so. Word Press is easy to install and use, it allows us to customize our site so that it goes from a simple Blog to an e-commerce that versatility is what makes us Word Press. It is for this, and many other reasons, why we have specialized in the design of Web pages in Word Press. Many people who work with Word Press every day do not know what is going on the list of Word Press update services, as it is not something that is obvious in the control panel. The update list is nothing more than the compendium of a series of addresses to which the Word Press system sends the information once we have published an article or page, with which our site is indexed. In general, the list that comes by default for Word Press includes a single element, that is, this unique address is notified when something new is published on your Web page. Yes, it is necessary that the template is responsive so that it is optimized, and not that the template is visually attractive does not tell us anything about the optimization. An optimized template is one that performs well when evaluated in terms of loading speed, for which aspects such as the asynchronous loading of the site scripts, the server response time (which is not affected by the template itself) should be considered. ), the delivery of the CSS, the optimization of the size of the images, among other things. This is an SEO advice that applies to Word Press and to any content manager that is used on the Internet. In fact, you have already heard the importance of placing representative names on images and how that can help your site to position itself better. Take the time to name your images properly, and it’s not something that takes too much time. Remember also, that it is not just about the name, you can assign a value to the ALT attribute, which is very much taken into account by the search engines. Yoast SEO is, by far, the most popular optimization plugin in Word Press, and when you install it you will know why. Yoast SEO makes our lives much easier, it allows us to keep a list of actions that are well done, those that are regular and those that we should improve, in addition to offering many other tools, such as the personalization of the title and description, among others. It is an excellent tool, although we cannot expect it to do the job on its own. I already told you about the Yoast SEO plugin, and now I’m going to keep doing it because, with this plugin you can generate sitemaps in a simple way, in fact, it is a very basic configuration. Sitemaps help search engine crawlers better understand how your website is structured. In fact, it is necessary that these sitemaps are generated and that the reports in the Google console, to be indexed faster your site, but above all, so that the indexing is well done. Once again, the promotion of content on social networks is not something exclusive of those who use Word Press as a content manager, but it is true that the integration of social networks in Word Press is, once again, simple. In fact, I would tell you that you will organize your social media accounts so that the content is shared every time it is published, so you will never lose the opportunity to capture the attention of your audience on social networks. We know that SEO is not only about technical aspects, but rather it is very tied to content quality issues, that is why this advice seeks to take you to what really matters, both for Google and for your audience: content. If you stay updated on issues concerning your business proposal, it will be much easier to create content that is attractive to your audience. Although it is difficult, not to say impossible, to know what are the criteria and the weights are given by each search engine when it comes to indexing, if it is true that there are trends that we can put into practice to please search engines. Stay updated on algorithm topics and what is important for a search engine when it comes to indexing your results; try to adapt your content to those premises and new trends. One last piece of advice that I can give you so that your Web page improves its position before the search engines are that you update all the content of your Web page that is susceptible to variations over time. A clear example of topics that are always updated our digital marketing and SEO itself, and every time new trends emerge that we must adapt. 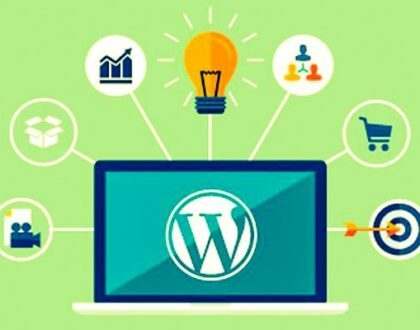 And if you need help to optimize the SEO positioning of your Word Press website, remember that we offer all types of maintenance plans and optimization of Word Press web pages.